TAPPER: So, gun control is the central plank in your campaign.You wrote last year -- quote -- "We should ban possession of military- style semiautomatic assault weapons. We should buy back such weapons from all who choose to abide by the law. And we should criminally prosecute any who choose to defy it by keeping their weapons." Criminal prosecution for keeping assault weapons. What's the punishment for people who don't hand in their guns? Do they go to jail? 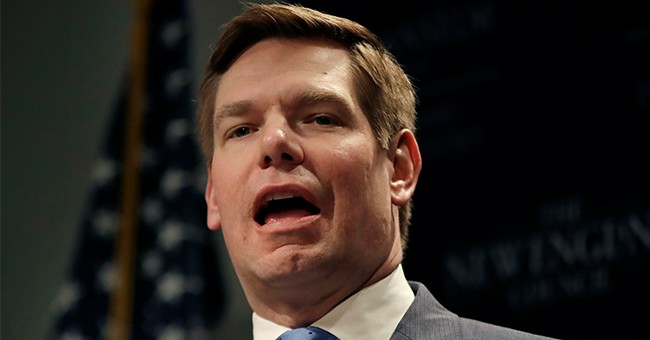 SWALWELL: Well, Jake, they would, but I also offer an alternative, which would be to keep them at a hunting club or a shooting range. And the reason I have proposed this is because these weapons are so devastating. I have seen this as a prosecutor in the cases that I've prosecuted. We have seen these in the school shootings, from Sandy Hook to Parkland. And I was just at Parkland earlier this week doing a town hall there. But it's not just the violence that they have caused. It's the fear, the immeasurable fear, that our children live in, because they are still on our streets. I want to get rid of that fear. I want to do what Australia did and New Zealand just recently did. I think this issue just needs some bold leadership to do it.